First of all, thanks so much for taking time out to read this information kit about the I Do Planner. Let us tell you a bit about ourselves. We are an offspring of The Soirée Company. After planning events for more than a decade, we decided that we need to create a truly local magazine from a planner's perspective. One that not only provides amazing content for the readers but one that also focuses on providing consistent support to the advertisers - YOU! to help our supporters learn the art of doing business so that this doesn't just remain a hobby for you! 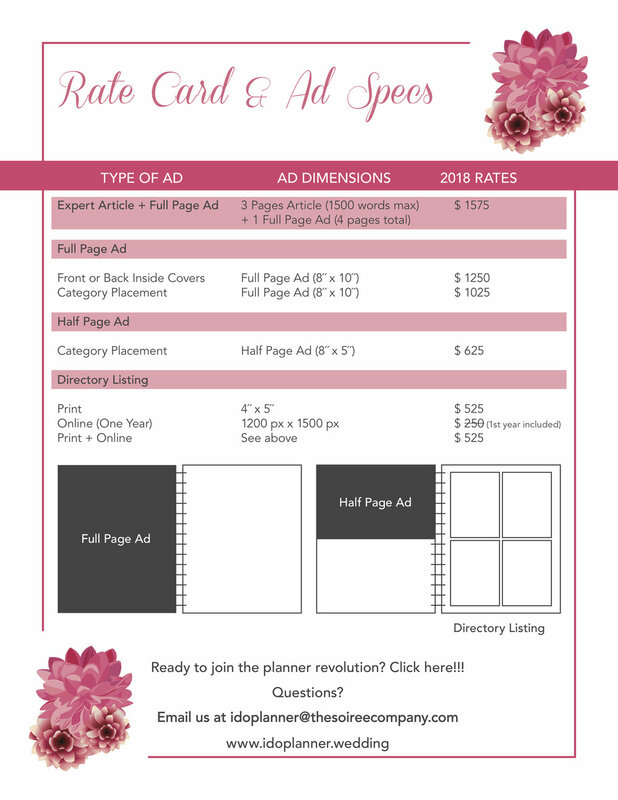 At the end of the day, we want to make wedding planning fun and help you grow your business. 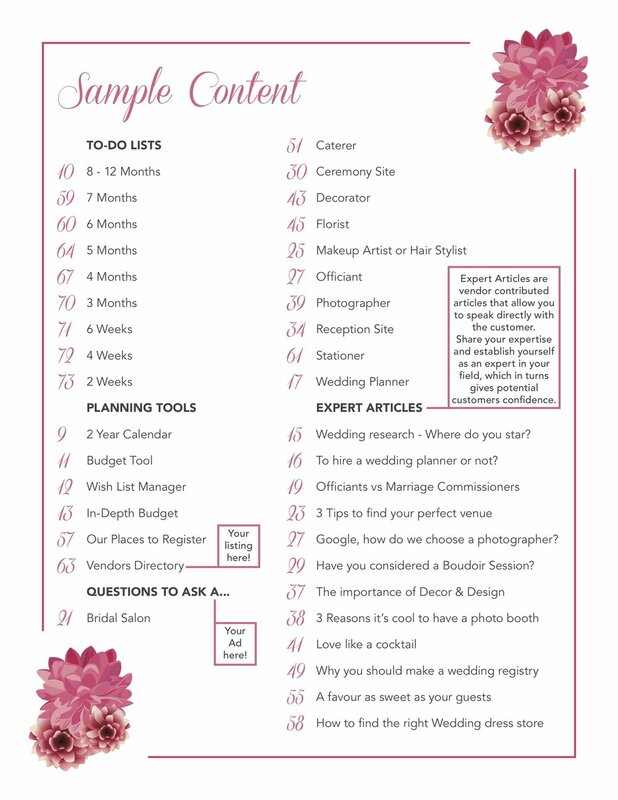 Unlike traditional magazines, we want to make sure that our content is worthy enough to be kept on hand by the couples using our planner. Therefore, we offer to-do lists, questions to ask vendors and articles by experts like yourself in the industry. These Expert Articles allow you to add "Published" to your badges of honour and make you an industry leader. You get to write an article related to the services you provide AND pair it with an ad. This Advertorial provides additional value to your marketing efforts. Limited to one vendor per category. Ready to join the gem list? Get in touch with us by filling out the form below! Thank you! We will be in touch with you within 24 hours with more information!